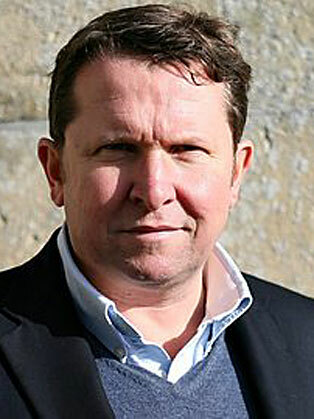 Nick Jenkins is the founder of the online greeting card website Moonpig.com. It took Nick five years of losses and four rounds of fundraising before the website eventually made a profit; today Moonpig.com ships greeting cards to millions of customers worldwide and has become a household name. Nick sold the company to Photobox.com for £120million in 2011 shortly after Moonpig.com reached No 3 in the Sunday Times Profit Track 100. Nick read Russian at University and had planned a career in the army but the collapse of the Berlin Wall led to more exciting opportunities and he gave up his place at Sandhurst to accept a job offer to work in Moscow. He spent eight years working as a commodity trader before returning to the UK. He spent a year studying for an MBA at Cranfield University as an opportunity to write several business plans. Within a couple of weeks of finishing the course, one of those plans became Moonpig.com. Since 2008, Nick has been actively investing in other start-up businesses, mostly in the technology and internet retail space. He sits on the investment committee of Impact Ventures UK, an investment fund which invests in social enterprises using innovation to find better solutions to social issues in the UK. He is also a trustee of the educational charity Ark and he is a patron of Shivia, a charity that helps some of the poorest families in West Bengal to raise their standard of living through enterprise. In 2015 Nick was one of the Dragons on Dragons' Den, stepping down in 2016 to focus on his portfolio of educational technology businesses.